In honor of those who have given their lives to protect our country, those lost in the recent natural disasters and those who have lost family and friends we will be featuring Lantern Floating Hawaii this week. 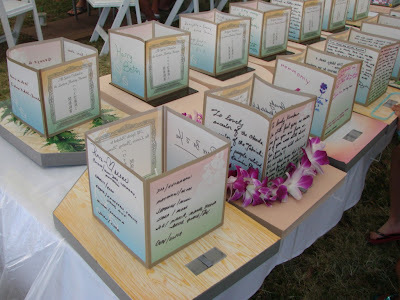 For the last 13 years Shinnyoen has held this free event at Ala Moana Beach Park inviting individuals regardless of nationality, race, faith or lifestyle to launch lanterns in remembrance of loved ones. People are leave messages (as seen above) on lanterns which are let and set out to sea. 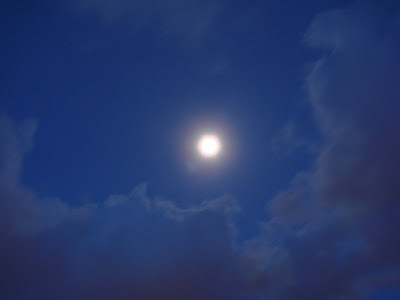 Of course we cannot end our Bob’s Kawainui Marsh moonwalk series without a picture of the moon. As promised when we made the turn at the end of the path to head back the moon was high over the marsh. I leaned my camera against the wall ans snapped this shot though photos never seem to do justice to the beauty of the moon. I’ll be on vacation for the next week so there will be no new photos until I begin the memorial day series. I wish you all a great week. Another day ends at the marsh as the sun dips into the clouds and mountains. 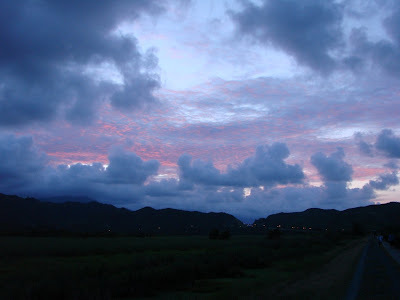 As we were walking along Kawainui Marsh we were treated to a nice sunset. I especially like the formation and colors of the clouds just above the mountain. Kind of reminds me of clouds I’ve seen at Haleakala during sunrise or sunset.